Drifter Entertainment, the studio behind Gunheart (2017) and Ready Player One: Rise of the Gunters (2018), is taking the reigns of porting Epic’s impressive arcade shooter Robo Recall (2017) to Oculus Quest. In an Oculus blog post today, the studio showed off a bevy of screenshots, and gave a peek into just how difficult it was to bring the PC VR game’s photorealism to the standalone headset platform. 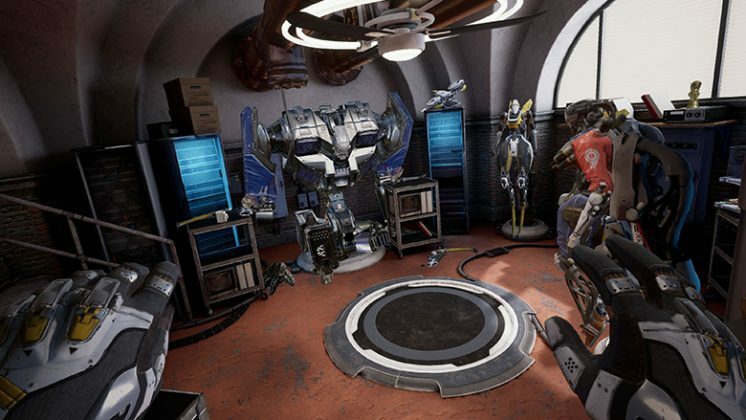 Epic’s Robo Recall is by all accounts a fun game, but the robot-smashing arcade shooter also played a big part in showing just how good games can look and feel in VR, setting a visual bar that few have approached even two years after its release on Rift. “It’s going to push the platform extremely hard,” says Drifter CEO and co-founder Ray Davis, speaking about the task of bringing the title to Quest. 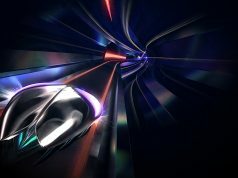 While Oculus maintains the gameplay experience is set to be identical to the PC VR version, albeit with the ability to gank robots in it full untethered, 360-degree glory, there’s undoubtedly going to be some sacrifices in the visual department. 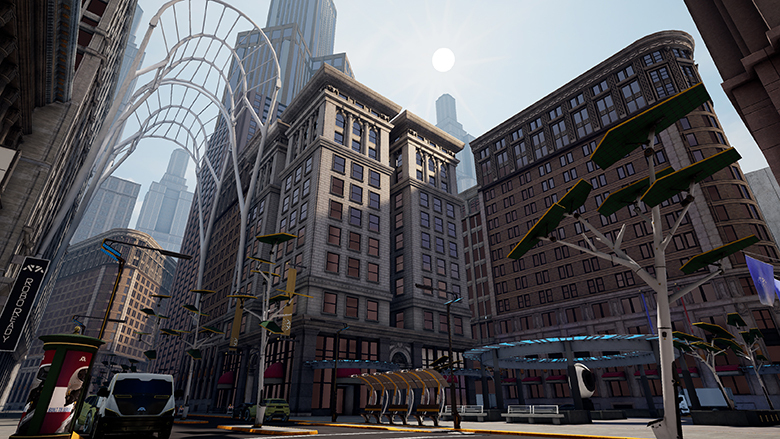 Bringing the game to Quest required methods such as lowering polygon counts, and utilizing Multi-View, a rendering technique typically used to lighten the load of CPU-bound applications on Oculus Go and Gear VR; this is done by rendering objects once to the left eye buffer, then duplicating them to the right buffer automatically with appropriate modifications for vertex position and view-dependent variables such as reflection. The studio says addressing the game’s photorealistic style, bloom effects, and depth of field all proved to be especially challenging. “We had to find ways to bring back the feel of those things while still hitting our performance targets,” Davis says. 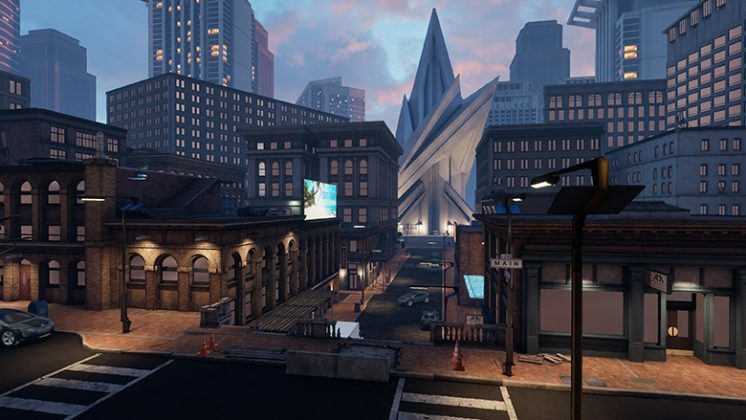 Robo Recall is set to be a day-one launch title for Oculus Quest when it releases at some point this spring. Drifter worked closely with the Platform Team at Oculus and Epic Games to bring Robo Recall to Quest. 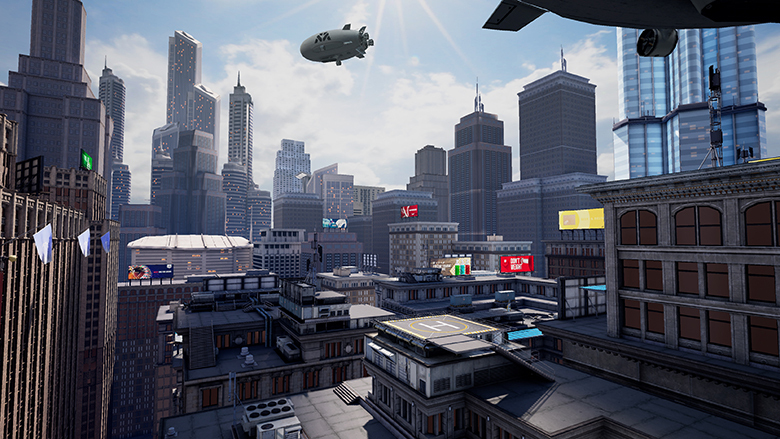 If Multi-View is so great, why isn’t it used as a normal part of the rendering pipeline in all VR game engines? Is accuracy sacrificed in the process? Who said it was great? Just seems to be a necessary tradeoff. 4 cylinder engines are very fuel efficient. Ever seen one in a top fuel dragster? When power is available, you focus less on efficiency than when it’s not. The PC world is match the hardware to the game. That makes for wasteful programming. I frequently turn down graphics settings on PC to find that things can still look 80 or 90 percent as good with like a third of the graphic load. In all cases, it’s get the most out of what you have. You are having to turn down settings because we still don’t have PC hardware powerful enough to run these games at full blast. No wonder mobile based VR is using tricks to get what they can. And I was happy without those settings. Sure, get what you can, but there is diminishing returns there. People don’t realize that the majority of the power they need is for a minority of what they actually see. Tuning the software to match the hardware instead of assuming unlimited hardware is a change for developers coming from PC, but as you can see they still produce plenty good stuff. May not be simple to implement, might be something you have to customize for each game. Not sure though. Have you tried using it before? Does it introduce noticeable artifacts? Sry no I have not. It’s not just Multi-View that will be used. Have you looked into Google Seurat? I’m hoping that us PC users will see some innovation and optimization from all this and hopefully not just have devs target the lowest common denominator like they do with consoles. I dunno. Lots of games made a big deal in the settings about anti-aliasing but I think things look fine without it. Rendering pipelines in the PC world are often wasteful for that last little bit of looks better. Yeah, and it’s going to look even better with RTX on. I think he was joking. RTX is nvidia new GPU. Perhaps long loading times and extreme battery life consumption. I still want Quest. But not sure if I’ll get it day 1. Valve will get my money for Index at first. I have no real interest in playing Virtual Reality on the go or travels. I like the quest for it’s showcase appeal to new-comers , but if you’ve got a headset at home why you would play a lower quality version of a game you can play now at higher quality is beyond me. It’s mainly for ppl that don’t have PC, don’t want PC, won’t have PC. And they don’t want to bother with using their smartphone for VR. But they want 6DOF tracked hand controllers and HMD VR. That makes sense, but there are people in the VR enthusiast community literally talking about buying a quest to replace their RIFTS. They are coocoo if you ask me. I’m one of those people. If all I wanted was to play VR games in the one room that has my pc I wouldn’t consider it. However, having the ability to play in any room, take it with me anywhere and play huge space/outdoors all while being tetherless is a huge draw. Graphically I’ll except the downgrade as a huge roaming area and wireless freedom are just as important to me. You won’t have to except just a downgrade but the fact that many of the best games just won’t be on it at all. I’m tether-less on PC, so that draw to that I understand at least. I literally started my post saying that I have no interest in taking VR places incase someone like you read it. I’m fine with that. I’m just discussing and didn’t take anything personally. It all depends on what you consider the best games. Also, the developers would be silly to walk away from the Quest market (which is projected to sell four times more a year than the current Rift). I bet they do everything to cram their games onto Quest, ugly or not. Robo Recall is one of the best Rift games, and here it is on Quest looking great and making sales. “I bet they do everything to cram their games onto Quest, ugly or not. Robo Recall is one of the best Rift games, and here it is on Quest looking great and making sales.” I have yet to see this happen yet or see Robo Recall myself on this unit. So I’ll be the judge of that, screen shots are nothing, you know this if you know VR. Robo Recall was also a early VR wave shooter, it’s not the best of anything anymore. I am going off reviews of people who have played that game on the Quest. You can withhold judgement until you play it yourself. Again, will it look as good as Rift? No. Will it look as good as Nintendo Wii? Oh yeah. I think Wii looks great. So does the rest of the potential Quest market. 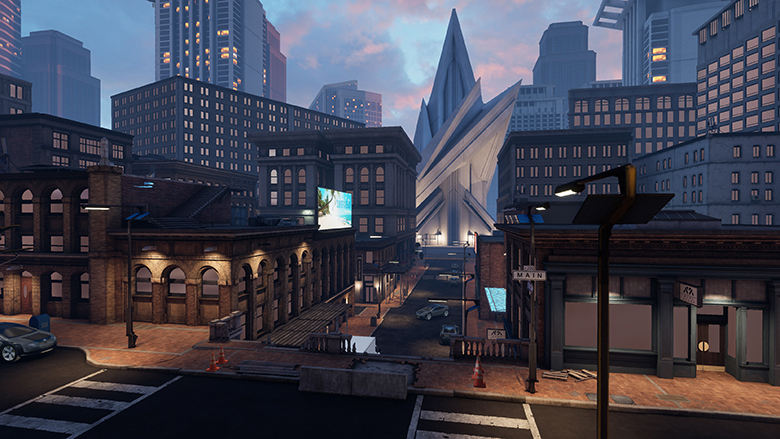 Robo Recall is going to sell like bonkers and all sorts of people will think it looks great because it does. Does it look the absolute best possible? No. Is the absolute best possible worth the cords, costs, and hassle? Not for me. 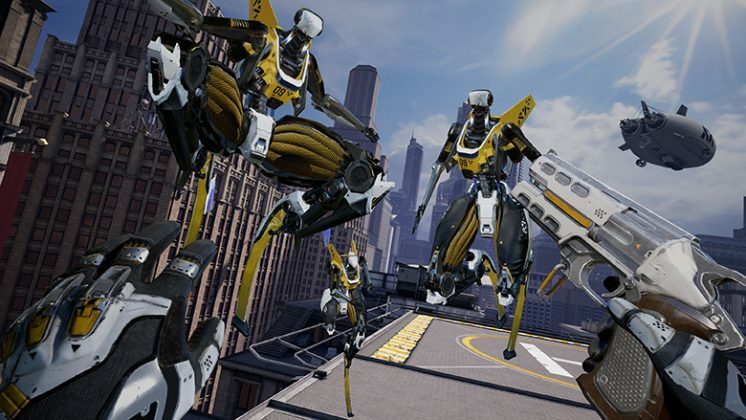 Is there another wave shooter that has outsold Robo Recall? Is there another wave shooter that is more fun to play than Robo Recall? If I am missing out, name names and hook a brother up. ppl are different. You won’t replace Rift by Quest, neither will I. But could be that some don’t care that much about graphical fidelity as much as about no tether (for example). That is like everyone. PC gamers are a niche group. VR gamers are even fewer. PC VR games who value graphics and library over everything else are even fewer. As a current Rift user, I’m extremely optimistic about the experience Quest will deliver, but I don’t expect it to replace my Rift completely. What I do expect is that, if it’s on Quest, I’d rather play it on Quest, graphics be damned, but I need to get some actual hands-on time with the device to see if that holds true or not. Trailers and screenshots just never do justice to what its actually like in the headset. True, but remember, this isn’t flat screen gaming. I don’t care about graphics either, but I really don’t like feeling like I’m legally blind and forgot to put my glasses on though…that’s a different thing. The screens are high res though, I’m sure they will help. Huh? Things wont be blurry on the Quest. It has better screens and optics and higher resolution than the Rift. What it will be like is a clear image of low polygon objects. Sharp but not detailed. That’s not how things work, I have a 3k HMD now. If the games have to run under-sampled or don’t SS at all, don’t worry, it will still be blurry. I’m figuring they put some of the best screens in it to compensate actually for the lower sample rate they will have to push. What is SS short for? I am sure there are software ways to run into blurry problems, but I can’t imagine people being willing to put that out on the Quest. Not all rendering problems are the same amount of bad for the viewer. I cannot imagine who would crank up the polygons and effects and anti-aliasing and down the sampling so its blurry. What good does that do? You turn down the polygons and other effects and mist and crap until you can show the polygons you do have really well. So I take that back. It is possible to really screw up a game and make it blurry on the Quest if you are an idiot about rendering. Blur from the refresh rate is a whole different problem. Screens with really low persistence (short flash time) can make up for a lot of refresh rate. The problem is that short flash time makes screens dim, which is another problem headsets suffer from. If you had a really nice screen that was both bright and low persistence, you can run a lot less hz and still minimize blur and motion sickness. If you do that, then your graphic load is a lot less – fewer frames to figure. So again, nice screens can make up for low graphic power… to a point. The Rift S has 1 ms persistence and the Rift has 2 ms (roughly). That is a big difference. I hear a lot of ‘boo hoo LCD’, but LCD has benefits in VR. I cannot find any hard specs on this, but if the OLEDs for VR made three years later from the Rift to the Quest haven’t improved on persistence, that would be a shame. Eh, that really shouldn’t be an issue on Quest. 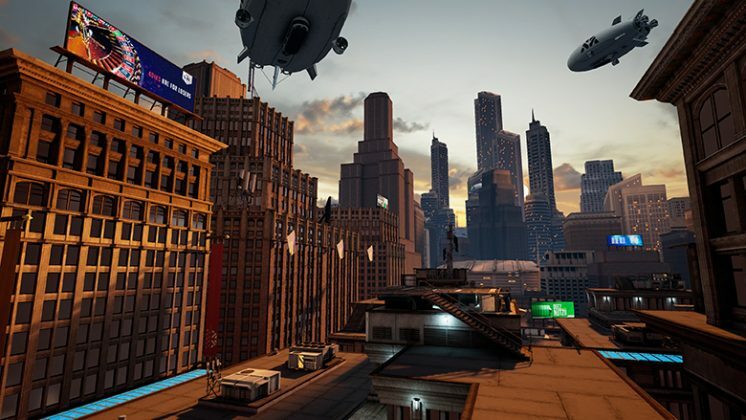 I’ve played enough games on Go to know the hardware is plenty capable of producing crisp visuals even when looking at things in the distance, but it also depends a lot on the underlying technology. Fallout4VR for example absolutely feels like self-inflicted nearsightedness largely because they were stuck with deferred rendering. The only reason I would get a Rift is if I fell in love with a game they refuse to bring to Quest. So far in my limited time on someone else’s set, all the best stuff will be on Quest at launch. What makes you think it won’t be on Quest? The thing about Earth is that the data and engine are open with an api and a bunch of apps for it. If Google Earth or Trimble or whoever doesn’t do it, a third party easily could. I am sure it would hit Google’s Daydream stuff first. I just hope they don’t make it an ‘exclusive’. I don’t think there is a hardware limitation there. Google earth (the normal one) can run on really crappy PCs with like a decade-old integrated graphics just fine. Will it be as good as Rift in every way? No. 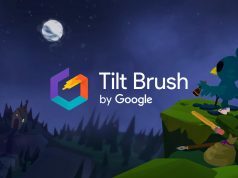 Google Earth wasn’t released on the Oculus Go so i expect it won’t be released on oculus quest either. The Quest is not in the same league as the Go. There is tons of stuff that wouldn’t ever work on the Go that the Quest can. The processors in Go and Quest are separated by one generation. It’s not a huge leap in processor power. Google Earth isn’t that demanding. Runs great on my old cell phone. I don’t know how many generations ago that is. Elite Dangerous, there is your reason to get a Rift! I fully expect that game to come to the Quest eventually. Like Robo Recall, it won’t look as good, but it will still be a giant galactic adventure. Big areas? Easy to take with you to much bigger areas than you have access to at home, with little to carry or set up and no tether? Fair enough but I would just like to and will continue to mention that many of us PC-VR dudes are way past the tether too. Also, if you’re talking about moving a to a bigger area with in your house, I’m not sure that room scale size is worth the down grade. I’m planning on using a 25′ x 25′ area at work. That’s a bigger area than I have access to in my house (10′ x 14′). I too use Vive Pro Wireless, but still think the Quest is pretty nifty. Tennis Sports Scramble should be a blast on that. Quest exclusive because of puny Rift play areas. No doubt man that’s gotta be pretty cool to have an entire court or something to play on, assuming the camera don’t need anything to bounce off from. We’re enter realm of niche with in a niche with in a niche with in a niche long enough to wrap the globe though. Well, a lot of people in 2016 would say room-scale wasn’t applicable to them because their apartment or house or condo didn’t have the space necessary. Now anywhere you can go can be your VR area. A lot of people have access to large areas in off hours, for example. It’s not a downgrade but a mobile version of VR. These are 2 totally different products. I just do not get it that people think that the Quest is the same thing as a Rift. There is a lot more to quality than rendering. Lenses, screen type, field of view, IPD, persistence. And that is just the visual quality. As a big Mario fan, I can tell you that visual quality is near the bottom of the list of overall gaming quality after important things like controls, gameplay, level design, story telling, art style, and so forth. It’s really bonkers to say that those who care about rendering or graphical fidelity somehow don’t care about quality or game play. It’s a disingenuous assumption about those of us looking for games that don’t have just one of these but rather both and all of these, why settle for less? I want my games to have great game play and quality with out the sacrifice of rendering and graphical fidelity because in VR visuals actually help immersion and immersion is what VR is. You cannot both have full graphic quality and have a system that is as mobile, cheap, cord-free, large play space, and easy as the Quest. You have to choose. When people say they don’t want the Quest and say that Rift is better for them, what they are saying is that they value graphic quality and library over mobile, cheap, cord-free, large play space, and easy. You are saying no to a lot of things here. If you find that characterization of ‘above all else’ offensive I am sorry. You cannot have your cake and eat it too. You cannot have you thousand bucks and the gaming PC at the same time. I have the money for PC VR, but I won’t tolerate those compromises. As for library, I fully expect the vast majority of stuff on the Rift to reach the Quest by the time I have played through the launch library. Those who want the Rift ‘for the games’ are looking at the Quest library today, not down the road. I predict that besides selling 4 times the units, it will also get a bigger library than Rift over time. Ok, lets say you want to Colombia for a month and don’t want to drag you gaming computer with you on the plane. Or you just want to be able to put on a headset and not have to turn on a computer, load up software and be tied to it with cables. I have a Vive but will be getting a Quest which will give me a lot more options and freedom in VR. Yes you will not have the same graphics as a desktop with a 2080Ti but these are 2 totally different products. Just because you have no interest does not mean that others don’t. I will be getting the Quest for traveling but I go for a month or more at a time and will live in other Countries. I am not a new comer by the way, been in VR for over 2 years. Everyone’s different, but I do think that you are the exception, not me. Most people who travel don’t care to take games with them in general. So it’s not the “mainstream” factor of quest I’m guessing. Your probably right, I’ll run down to Colombia for a month to get away from the heat in the Phoenix summer and hang out. Looking great for a smartphone soc ! If they removed all the java code from oculus os, that could be even more optimized. Keep dreaming. Why do you think they are not letting reviewers take their own screenshots from the game? It’s because most of the time it looks like crap. Don’t be misled by screenshots specially chosen for the gullible. Hmm, so you think they are trying to trick us? It’s working, I’m buying one when they are released. For someone who wants to travel, it is the only real choice. You are a marketers dream. They are only showing you the best images they can find in the game. They are not letting reviewers make their own screenshots because it looks like crap most of the time. If no one is allowed to see it, how do you know it looks like crap? We were shown the graphics for a split second in the Quest trailer. They looked like Playstation 2 graphics. Since then we have had nothing and no reviewer is allowed to record footage of the graphics to show us. Playstation 2 graphics sounds like a good time to me. Reviewers who were not allowed to record footage but did say what they thought did not compare it to Playstation 2. How would you know? Have you played this game on the Quest? Like i said to the other guy, we were shown the graphics for a split second in the trailer for the Quest. They looked like Playstation 2 graphics. Since then, we have had nothing but carefully selected screenshots and no reviewer has been allowed to record their own footage of the graphics to show us. We should know pretty soon, it will probably be released in a few weeks and there will be hundreds of reviews out there. Still looks good to me. Until anyone sees anything else then that’s all either of us can for now without sounding like a moron. You are ignorant because they already released a split second of footage of the game. In that footage it looked like PS2 graphics. Nothing is particularly clear in that tiny clip. I think smart people would wait to see some proper footage of the final game in action before dismissing it. 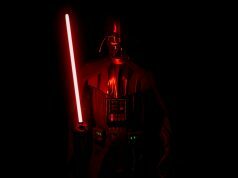 I don’t think people realize how awesome this is. Some fewer polygons is a small price to pay for freer gameplay without the leash. The Quest isn’t just ‘for people who travel’. It offers a better experience even at home base compared to a fully set up Rift. Robo recal is ideal for even a cellphone to double play, aint more scripted than frigin time crisis ,to much noise for a very average game. DId you play this game, because there’s a lot more to it than you suggest there. 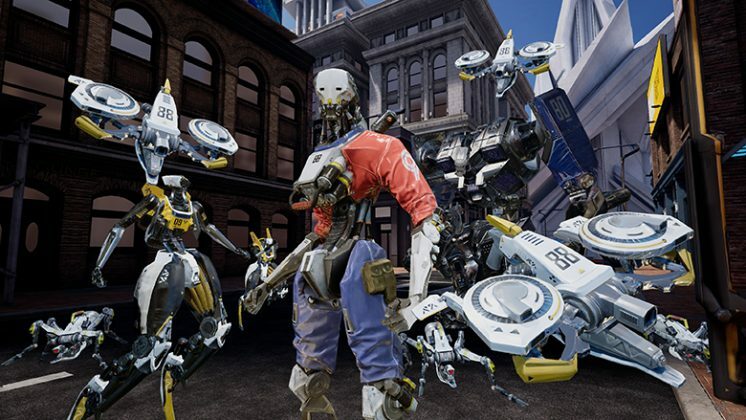 Please tell me what VR games you are playing if Robo Recall is “average” to you. Looks terrible, but still impressive considering the hardware. Definitely going for a tethered upgrade (Valve Index) next instead of this, but I’m glad this exists and will be improved upon. The Valve Index does look interesting especially with the Knuckles and wider FOV. I am patiently waiting for the final specifications to come out in May, looking to possibly upgrading my Vive. Full 360 sounds great bit this “multiview” copy left eye to right eye system sounds dodgy. There’s a bunch of games on Go like Anshar Online where people complain it’s not proper VR/3D.